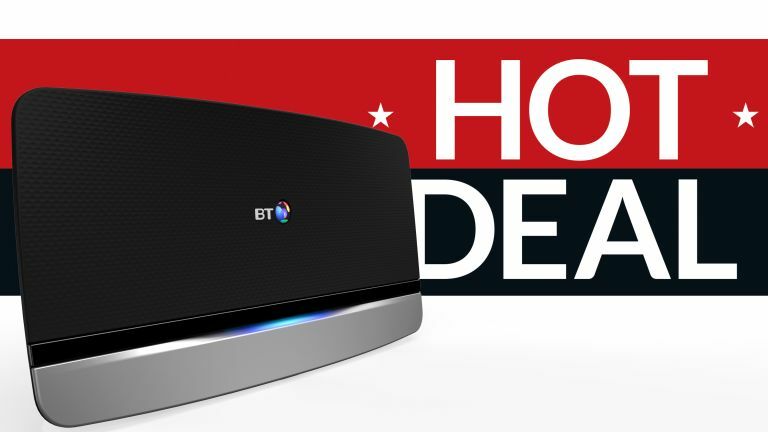 Black Friday isn't technically until November 23, but that hasn't stopped BT unleashing a swathe of impressive internet offers. The telecoms firm is throwing in pre-paid cards with up to £140 to spend on the high street, as well as free activation. Anyone who signs-up to BT broadband between now and midnight on Cyber Monday (November 26, 2018) will see their activation fee waived, and receive a ludicrously generous Reward Card in the post. Splendid. When it comes to the broadband packages themselves, our top pick is BT's Superfast 1 fibre broadband deal. It'll set you back £29.99 a month, but you get a hefty £120 pre-paid Mastercard and the only thing you'll pay at the outset is £9.99 to cover the delivery of your new router. BT also includes free weekend calls to UK landlines. If you're looking for something faster, then it's worth checking out the £39.99 a month unlocks some impressive 67Mb average download speeds as well as a truly monumental £140 pre-paid Mastercard. But if that's all a little pricey for you – or if you're one of those unlucky people who can't get fibre broadband in your area – standard 10Mb ADSL costs a mere £24.99 and you'll still bag a Reward Card worth £70. An extra £10 a month doesn't sound like much, but it lets you really ramp up the broadband speed to a rapid 8MB+ per second. Ideal if you have loads of people in your household all trying to use the internet at once or if you stream a lot of 4K content. You immediately shave £140 off the price with BT's most benevolent Reward Card. This is the least you can pay to get BT broadband. Anything under the £25 per month-mark is a-OK by us. As if the price wasn't attractive enough, you also get that lovely little Mastercard making the effective monthly spend around £21. The Reward Card that BT sends out is a pre-paid credit card that can be used anywhere that accepts Mastercard. For those counting, that's around a million shops, cafes and restaurants worldwide, so you shouldn't find it difficult to find places to spend your free money.